This week in New Music: British Sea Power (above) examine Brexit isolation on Let the Dancers Inherit the Earth, Stevie Parker‘s breakup album would scare the wits out of Sam Smith and Chromatics share a video for “Shadow” which was performed in the new series of Twin Peaks. 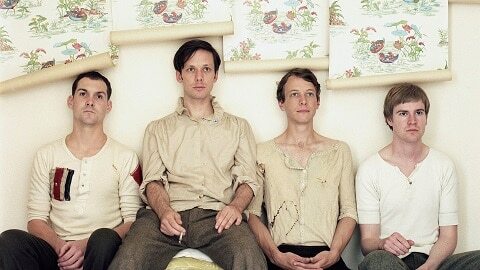 English act British Sea Power have been producing throwback indie rock for 14 years now over five “proper” albums, an instrumental soundtrack for 1934 film Man of Aran and a reinterpretation of some old material on Sea of Brass in 2015. The “throwback” element is not meant as an insult. 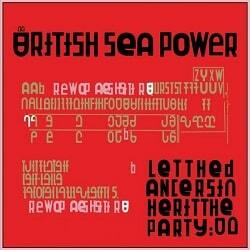 British Sea Power are a quintessentially British band. Their sound, lyrics, thematic concerns, style and presentation suggest and updated Merchant Ivory soundtrack. You can already hear them over any future updated remake of Maurice. Informed by Brexit then, the album retreats into Englishness at its best, recalling as BSP always do the poppy, optimistic but ultimately melancholy of indie greats like James and Blur. 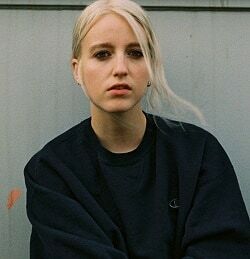 If Adele is all glitz and glamour heartache, English singer-songwriter Stevie Parker is the everywoman’s angrier alternative. Parker’s debut album The Cure examines in sometimes painful detail a breakup with her former girlfriend. While Parker’s anti-style speaks to a more “serious” Adele, the songs on this album are generally so stark that they are often more heartbreaking. Given the lack of bombast, this is one breakup album that – along with likes of Noah and the Whale’s The First Day of Spring – will likely fly under the radar while Sam Smith gets all of the awards. Adele and Sam would run a mile. So. Twin Peaks series 3. Did you love it or hate it? There has been much discussion of David Lynch‘s decision to insert seemingly random live performances of songs at The Roadhouse. 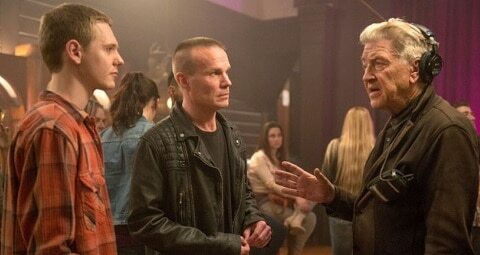 Lynch has verified that they are just songs he likes that fit into the Twin Peaks universe. It’s also been more or less verified that as an 18-hour movie, a song will act as a marker to the end of a chapter. And yes, Julee Cruise will feature. The first song at the end of parts 1 & 2 was Chromatics with the haunting and entirely fitting “Shadow” which was used to reintroduce two old characters, Shelley Johnson and James Hurley. When James arrived at the Roadhouse with someone wearing a blue glove, Shelley explained that he had a motorbike accident that changed his personality. “But he’s still cool,” she said. “James has always been cool.” A finger to critics of the character in series two backed by a perfect soundtrack.